Watch our short video documentary about the event on YouTube! 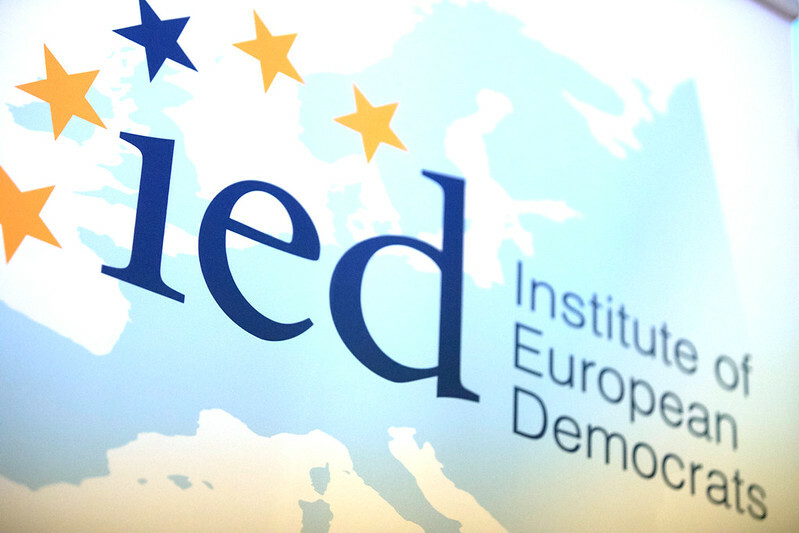 Institute of European Democrats and Young Democrats for Europe organised the 2nd edition of the Winter Academy which took place on 24 and 25 of November 2017 in the Thon Hotel EU in Brussels, Belgium. The Winter Academy dealt with the subject Youth Engagement in Building a more efficient Europe. The event was attended by 32 young delegates from different political youth organisations from 19 European countries: Belgium, Bulgaria, Croatia, Cyprus, Denmark, France, Germany, Greece, Hungary, Iceland, Italy, Latvia, Poland, Portugal, Romania, San Marino, Slovakia, Spain (Basque Country and Canaries), Ukraine. On Friday, the Academy welcomed a distinguished keynote speaker, Vice-Chair of the Greek Parliament and Vice-President of the European Democratic Party (PDE-EDP) Marios GEORGIADIS, who talked about the voice of European youth in democratic life of Europe. The presentation of the conclusions from this interesting workshop was followed by the roundtable "Where will we be in 2027?" in which young delegates discussed how Europe and the world will look like in ten years time. The event was organised with the financial support of the European Parliament.